The psoas muscle connects our spine to our legs. On the spine, it spans from thoracic vertebra 12 (T12) to lumbar vertebra 5 (L5) and then descends through the pelvic region to attach to the top of the femur (thighbone). This important muscle enables us to lift our legs and therefore affects our structural balance, our ability to move our pelvis, the range of motion of our legs, and the way we walk. In addition to stabilizing our spine, the psoas influences our flexibility, strength, joint mobility, and organs. Because the psoas is directly connected to the spinal cord and the reptilian part of our brain through the fascia, it is often the first muscle to contract and the last to release when we experience anger or fear and our system moves into instinctive fight-or-flight reactions. When we are surprised, it is the rapid contraction of the psoas that causes us to startle. The psoas is also activated when we reflexively curl up into a fetal position when stressed. Because the psoas is so closely connected to our instinctual survival reactions and because of its deep location in the body, many people store unresolved emotions or unhealed traumas there. When we feel criticized (by others or by ourselves), it is often the psoas that reacts by contracting or hardening and becoming rigid. 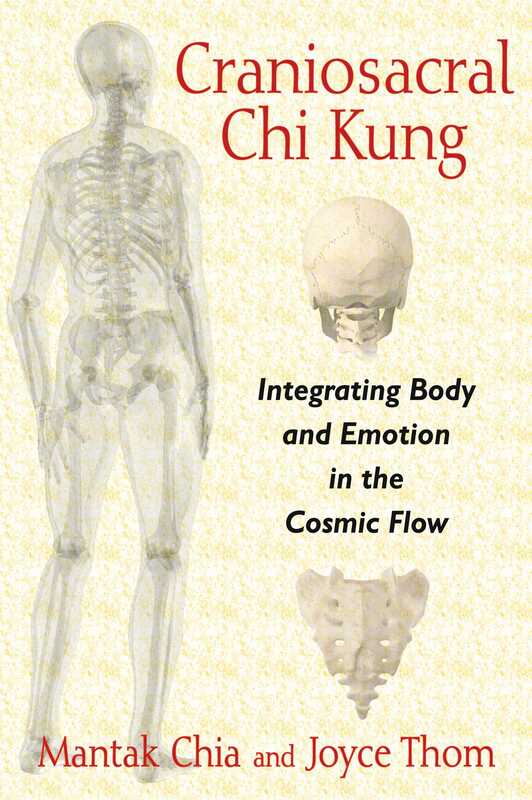 Taoists refer to the psoas as the muscle of the soul because of its connection to our deepest essence and core identity. Benefits of releasing the psoas include improved oxygen, blood, and lymph circulation and detoxification as the stress hormones stored in the tissues dissipate. As flow increases, we can experience improved range of physical motion and greater emotional mobility as well. The psoas is particularly reactive to fear, anxiety, and anger. When we experience those emotions, the psoas contracts. Because the upper attachments of the psoas are in the same region as the diaphragm, contraction in the psoas affects the diaphragm and causes shallow breathing. By consciously deepening and lengthening our breathing, we relax tension in our diaphragm and release the psoas. As the psoas relaxes and tension dissolves, our emotional blockages begin to melt and dissolve as well. Strong emotional reactions are associated with erratic or strained breath patterns. Natural breathing evens out emotional swings by retraining our nervous system to relax and by quieting the mind. Yin breathing extends this beneficial process even further, not only because it assists us in releasing psoas tension and the emotions held there but also because the meditative state that it induces helps to rebalance our emotions as well. 1. Find a comfortable position either sitting or lying. 2. Align your body so your head is in alignment with your heart and your hips. 3. Take a snapshot of how you feel physically, emotionally, and mentally. 4. Begin natural breathing, inhaling and exhaling through your nose. 5. In this exercise we will breathe into the solar plexus area to relax the psoas. 6. Notice your inhale and exhale. 7. Invite your breath to deepen and slow, becoming smoother and more even. 8. Slowly begin to lengthen your exhale until it is twice the length of your inhale. 9. Continue slowing your breath until your inhale is around 7 seconds and your exhale is around 14 seconds. 10. Do nine rounds and then allow your breathing to return to normal. 11. Notice how you feel and what has changed. This exercise provides another opportunity to release the psoas and increase the flow of the emotions that may have accumulated there. For this exercise it may be helpful to have a chair nearby or to work near a wall to provide stability. 1. To warm up our hip joints, we will start by sitting cross-legged. 2. Keeping your back straight, make small circles of your torso in a clockwise direction. 3. Rotate 18 times, slowly increasing the size of the circle. 4. Reverse and rotate 18 times in a counterclockwise direction. Start with small circles and increase the circles gradually. 6. The focus is on stretching and opening the psoas in your back leg.To do so, your back knee should be behind your hips. Keep your spine upright with your head aligned directly over your hips. 7. Once you have found the position, breathe. Smile into your psoas and invite it to relax. 8. As you settle into this position, you will notice layers of tension in the various muscles peeling away like layers of an onion. 9. Notice any tension you are holding in your pelvis and invite it to relax as well. 10. Listen to your psoas. Notice what thoughts or emotions or physical sensations come up as you hold this position. 11. Use the chair or the wall to stabilize yourself, if necessary, so you can sink deeper. 12. Allow your awareness to drop deep into the muscle. Follow the tension to the deep core of the muscle and smile into the area of tension that is blocking flow. Sense it softening. As it does so, the muscle may start unwinding and shaking. Rather than tensing up to stop that shaking, soften. Relax into the movement and let the waves of energy move through your body, releasing both local and general restrictions. 13. If possible, stay in this position for 5 minutes. Keep coming back to your breath, the invitation to relax, and the inner smile you are beaming to the psoas. If necessary, take breaks and return to the position.